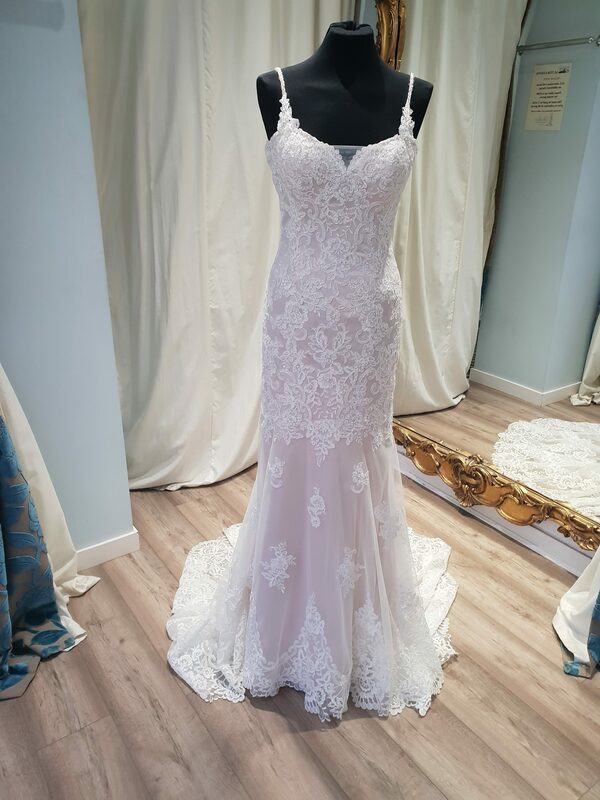 Lace on tulle over satin sheath with hand beaded spaghetti straps. Softly curved scalloped V Neckline with illusion modesty panel. 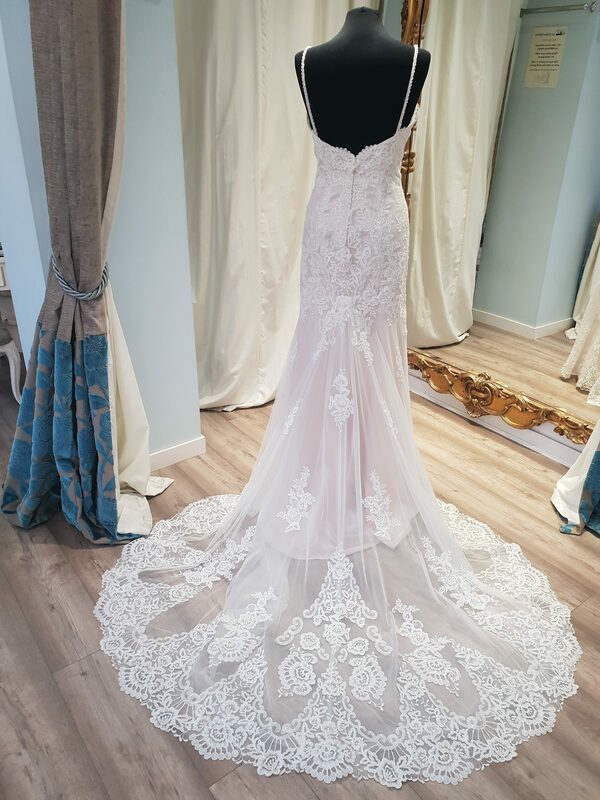 David Tutera 117282 has been successfully added to your shopping bag.